Despite its wonderful ancient treasures, jungles full of elephants and gorgeous beaches known for their fantastic surfing conditions, Sri Lanka is still a destination-less-travelled. War and natural disasters have plagued this beautiful, green land, but now's your chance! Before everyone's done it! Come before the best places to stay in Sri Lanka get too well known and you can't get a bed in one for love nor money! and Kandy, home of the Temple of the Tooth, one of the most sacred places in the Buddhist world. And that's only mentioning the highlights of this one small triangle. As well as the monuments and temples which survive in Sri Lanka's ancient capitals, there's the colonial experience to explore, and what about the history of the tea trade? Even riding one of the old tea trains is an historic experience, as well as a potentially hilarious one. Colombo once typified the idea of graceful colonial capital with its white pillars, grand boulevards and flourishing gardens. But in today's Colombo commerce has well and truly taken hold and the city has burgeoned and sprawled. Most visitors will seek out a bit of both worlds, enjoying the fun of its myriad of markets, and appreciating the large scale restoration works going on around some of the most historic architecture, including the central fort complex. Kandy is Sri Lanka's second largest city, so an easy hub to head for. It's grown up around a misty hill in lush tea growing country. Busy and colourful, in Kandy you'll be surprised by impromptu street markets, sudden tropical rain storms and the deliciousness of the food. Kandy is also one of the best places to stay in Sri Lanka if you want to get close to an elephant. There are numerous elephant spotting tours and safaris, and you can get closer still at an elephant orphanage, like the one at Pinnawala. And, up in the cool hills, Hatton is the old tea capital. Then there's the beaches: white and often sans-footprints, Sri Lanka's beaches are lovely all the way around the island. There are also plenty of spots offering good diving, snorkelling and surfing opportunities. The Kalpitiya Peninsula is a favourite with visitors, but Galle is a cultural as well as beach-side destination. Before the arrival of the Portuguese in the 16th Century, Galle was a small village, but they quickly turned it into a major spice port, building an impressive fort, now considered the best example of a fortified port built by Europeans in South-East Asia. The Dutch arrived in the 17th Century, and added to the fort, as well as building their homes and churches, so now Galle is a beautiful mix of local and colonial architecture. Today the fort is full of bijou shops and cafes and boutique hotels. It's a hang out for writers, artists, poets etc..
As well as the above you might want to add these highlights to your itinerary. The National Museum of Sri Lanka is a beautiful colonial building housing some of Sri Lanka’s greatest cultural treasures. There’s fine art, carvings and statuary, weapons from the colonial period and other interesting odds and ends - incredible objects from the Ancient Cities, including a magnificent royal throne and an impressive 9th century Buddha who welcomes you at the entrance. And no one will want to miss the crazy commerce of Colombo’s Federation of Self Employees Market on 5th Cross Street. Explore the myriad of galleries, cafes and little museums located in the pretty winding alleys of Galle’s fort. Hatton is linked to the rest of the country by a scenic and rather atmospheric rail line. Colombo is about 80kms away and Kandy is about 45kms away. If you’re not travelling that far it’s worth riding the rails just for the views. Book a journey that will take you through the Singha Malai Tunnel, it’s the longest railway tunnel in Sri Lanka. The Hotel Guru's selection of the best places to stay in Sri Lanka are all ideally placed for getting to know this extraordinary island - and the distances are short, whether you've come for culture, beaches or a bit of both. 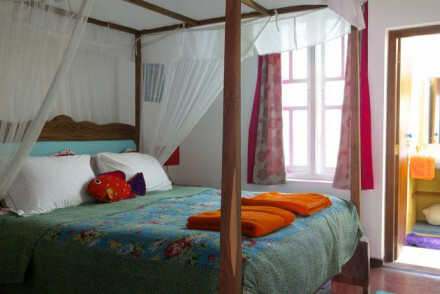 Casa Colombo is a sleek, chic, lively creation with colourful rooms and shabby chic furnishings. There's a cocktail bar and an excellent Asian restaurant. And the pool and deck are gorgeous. The Galle Face Hotel is a classic colonial era hotel with elegant interiors and a private beach. It’s also got an infinity pool and a spa, plus a well equipped gym. And the hotel restaurant has long had an excellent reputation - good enough to run their own cookery classes. 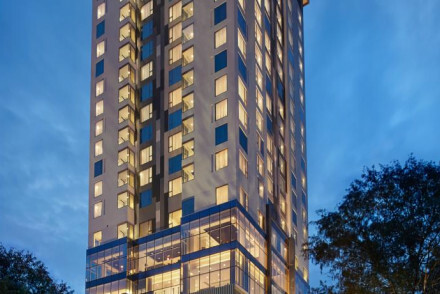 Colombo Courtyard is a boutique hotel in the heart of town with a rooftop cafe with fantastic views that hosts open air jazz and cinema nights. There are just 30 stylish rooms - some with four-poster beds - and a private courtyard. There’s also a spa. If you like unique and eccentric, then Helga’s Folly might be for you. Helga's home was built in the decadent 1930s, and she's retained many of the original features, including the building's particular shade of red, both inside and out. She's also added murals and historic paintings, photographs and a collection of unusual antiques - that kind of original. Helga swans around day and night, accompanied by jazz and swing music, watching over the visitors staying in her 40 rooms. You'll love it or loathe it, so even though it's really close to the Golden Temple, make sure you look at the photos before you book. 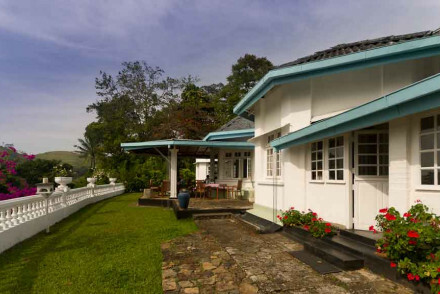 The Villa Rosa is one of Kandy’s hidden gems, a calm, green oasis perched in the hills, 600metres above sea level. 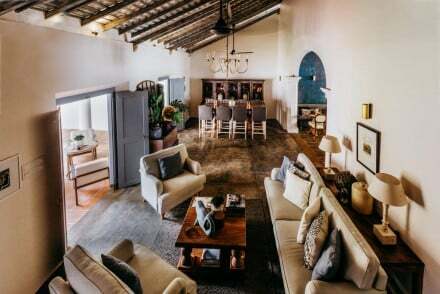 The Colonial style decor spreads through the eight rooms, which have dark wood furniture and four-poster beds, and through the elegant restaurant which serves exemplary Sri Lankan cuisine. For something a bit later as far as history goes, consider Stone House Lodge, a five room lodge dating from the 40s. It’s very peaceful, with cosy rooms and an inviting pool. The food is so good they run cooking classes. Vil Uyana's collection of luxury thatched cabanas stand on stilts out over the lake allowing for privacy and excellent birdwatching opportunities. Perfect if you want to get back to nature. 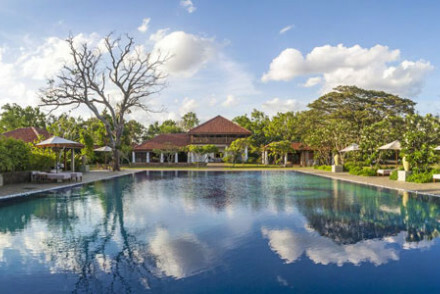 If you're looking for somewhere reasonably priced and well located within the Cultural Triangle, one of the best places to stay in Sri Lanka is Lake Lodge, Kandalama. This is also an excellent choice for people wanting a green holiday - surprisingly no trees were cut down during the construction of these six rooms, instead the buildings were designed around them. Which means that the Grey Langur Monkeys and a rich variety of birds have stayed put. 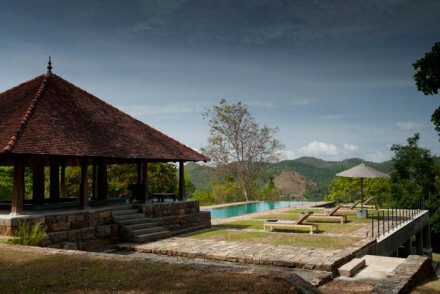 Giritale is near the sights of Palonnaruwa, set amongst lush gardens with views over a vast reservoir. Its decor is simple but the pool is good, and the ayurvedic centre is excellent. 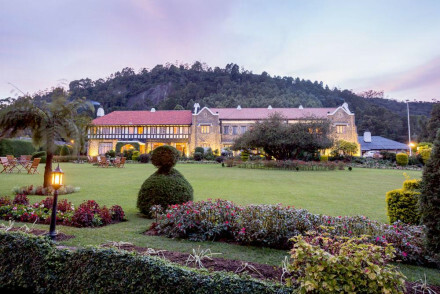 For a touch of luxury and old school grandeur you can't beat Kandy’s Clingendael. There's only four rooms here, so it feels like your very own piece of paradise! 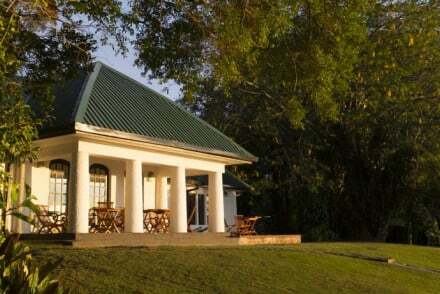 The Ashburnham Tea Estate has been converted from a tea-planter’s bungalow built in the 1930s. The views are stunning, there are several wonderful tea terraces and an al fresco restaurant. Plus a pool. Totally charming and perfect if you’re looking for the tea plantation experience. The Queen stayed at the ten room Polonnaruwa Rest House in 1954, and this colonial government bungalow, built in 1870, probably hasn't changed much since her visit. In fact you can still stay in her lake view suite, which looks out onto Sri Lanka's largest man made lake. The decor is pure colonial, but the restaurant serves excellent Sri Lankan food, and is a wonderfully airy room jutting out over the lake. 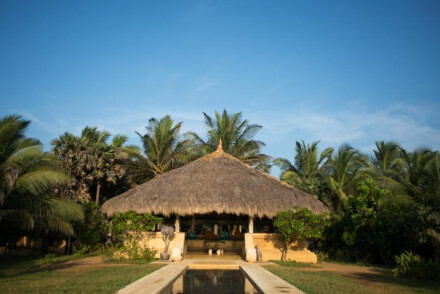 Maya Old House is one of the best places to stay in Sri Lanka for people looking for somewhere remote and unique. 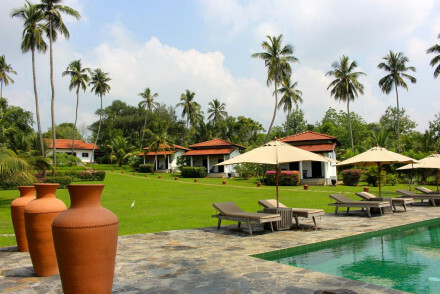 It's set in amongst the jungle and the paddy fields, on its own two acre estate. The colonial style building has wide verandahs set around a wonderful courtyard pool, and the guest rooms have 25ft ceilings. They're so charmingly traditional they offer cricket, tai chi and petanque. 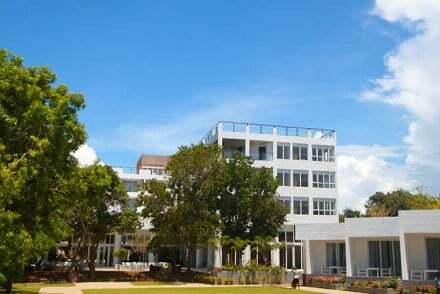 Paradise Road Tintagel, Colombo, has just ten suites, beautifully, and classically, designed, plus a well stocked library, a steam room and an adults only pool. There’s also a restaurant serving one of Colombo’s finest meals. 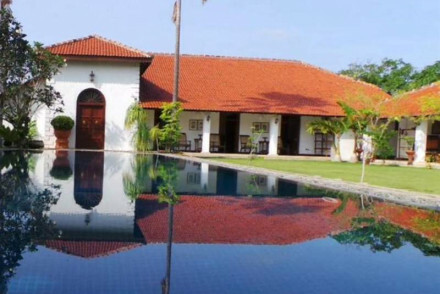 Intimate and unspoiled, Maniumpathy is an old family house tucked away in a smart, and central, neighbourhood of Colombo. There are just eight suites. You're surrounded by a charming garden with a plunge pool. Clingendael is an intimate, colonial hideaway in the world famous, international championship Victoria Golf Course. The decor is beautiful: think teak furniture and sumptuous fabrics, plus all the trimmings. For top end luxury right on the beach, one of the best places to stay in Sri Lanka is Amanwella. This resort is all about relaxation. The architecture is elegantly sparse - zen even, the terrace is fanned by palm trees and each of the thirty suites has its own plunge pool. But despite the focus on relaxation there's plenty to do here, from birdwatching to whale watching, to snorkelling, and windsurfing, to fishing and they even run cooking classes. Buckingham Place: the name comes from the owner's surname, rather than any suggestion of opulence. 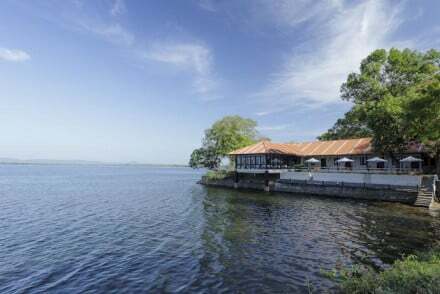 In fact these 12 guest lodges are modern and minimalist, with excellent views over the lagoon. Just out of a small fishing village and far from the crowds. 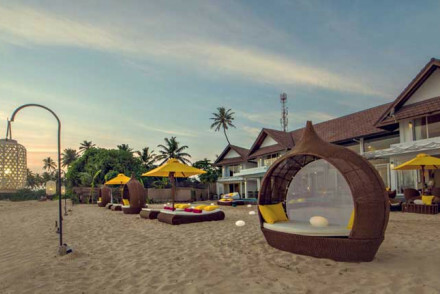 Aditya Resort is a contemporary boutique hotel located on its own stretch of palm lined beach close to Galle. Airy rooms feature splashes of pop colours, traditional furnishings and design quirks such as split levels and outdoor rain showers. Tree Tops Jungle Lodge is just three canvas tents in the middle of nowhere. Staff cook up delicious Sri Lankan dishes cooked from local ingredients and guided walks are offered to take you to even remoter spots. A truly magical once-in-a-lifetime experience! Ulagalla Resort is a serene, boutique eco resort - different from the Tree Tops Jungle experience because it's more of a luxurious spa escape. There are Asian style chalets amongst the palms, Asian cuisine and all the mod. and most relaxing cons. 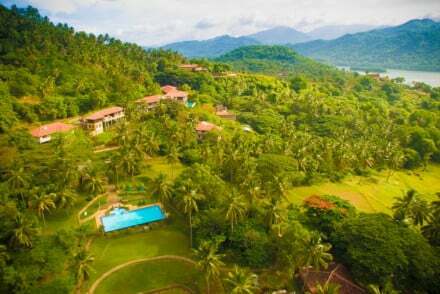 In the picturesque hills above Kandy is the Santani Wellness Resort and Spa, a contemporary property offering all the wellness mod. cons. in a Zen-like atmosphere of clean, modern architecture and design. Healthy as well as relaxing. 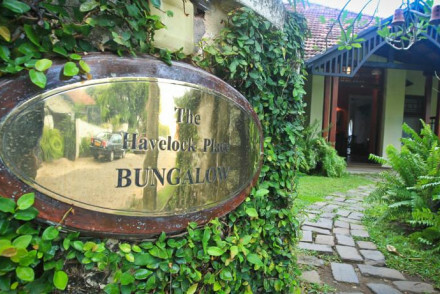 The Havelock Place Bungalow is a true home from home, providing an alternative to Colombo’s five star hotels, and offering just seven rooms with cosy quilted beds, striped wallpaper and carefully chosen furniture. The restaurant is very popular, so book in advance. You’re within walking distance of the Town Hall and Independence Square. Rooms start from around £70 per night. The international entrance to Sri Lanka in Colombo is Bandaranaike Airport, which is closer to Negombo than Colombo - it’s 30 to 60minutes drive depending on traffic. Monsoon season sweeps across Sri Lanka in both directions, hitting Colombo between June and September and Galle and the hill country between May and November. It’s quite complicated, and you do need to check your itinerary against the rain patterns, but, broadly speaking, between December and April is fairly monsoon-free. Refine your search to the best places to stay in Colombo? or the best places to stay in Kandy? or the best places to stay in Hatton? Or hit the beaches of Galle? Or the Kalpitiya Peninsula? Victoria Golf and Country Resort is just a short drive outside Kandy and enjoys luscious surroundings. This property offers 10 chalets, 2 cottages and 1 villa. Decorated in a chic, unfussy fashion and boasting splendid views. Car rental and BBQ facilities available. Great value! Value chic - A splendid retreat in a stunning rural setting, boasting fantastic views and prices!! With just six bedrooms this 1930s tea planters bungalow, complete with stunning views, provides a charming stay. Explore the tea terraces, relax by the pool or enjoy a cooking lesson. Sri Lankan dishes can be enjoyed in the restaurant or al fresco. A quintessential tea estate experience. Great walks - A guided tour of the working tea estate - and waterfalls! 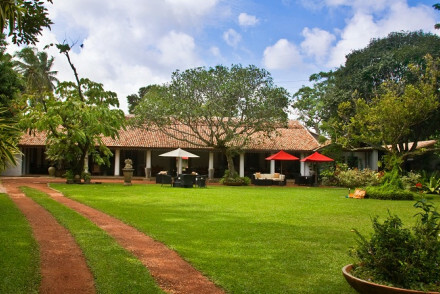 Classic colonial accommodation in the heart of Sri Lankan hill country. Rooms are traditional in style with plenty of dark woods and red and green palettes - feels quite festive! Add to this open fires, a well stocked wine cellar and a billiards room and you're transported into another era. 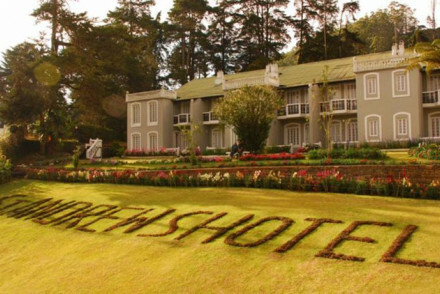 Originally the base for plantation workers, now a charming colonial style hotel sitting above the quaint town of Nuwara Eliya. Step inside and it is as if time has stood still with chintz fabrics, antique furniture, wooden floors and open fireplaces. The perfect place to discover rural Sri Lanka. 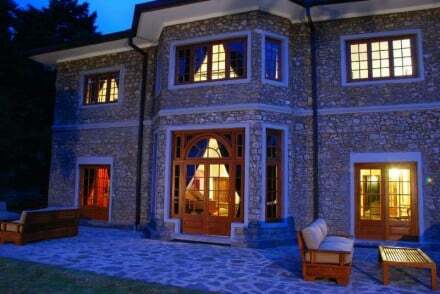 Country Escape - A colonial style country house situated in a picturesque hillstation. Great walks - Explore the surrounding countryside on long walks. Located in an area known as 'God's Forest' this eco friendly property lies on a former rubber plantation. Traditional yet luxurious rooms are designed to make the most of the local climate - no AC here. Private villas feature outdoor terraces with jacuzzis, plus there is a picturesque infinity pool. Built in 1870 this elegant tea planters bungalow is of local historical significance. Its seven luxurious suites are named after prominent players in Sri Lanka's tea industry. Afternoon tea out on the lawn or a BBQ dinner under the stars is a superb way to experience the sweeping gardens. Divine. 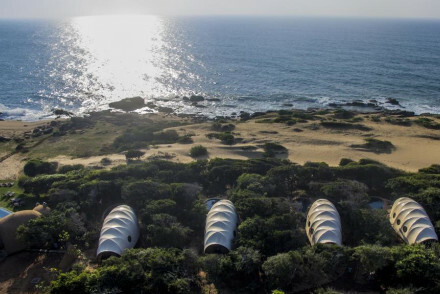 A totally unique and spectacular tented ecolodge, nestled between Yala National Park and the rocky shores of the Indian Ocean. Opulent tented suites offer indulgent interiors, private pools and terraces. 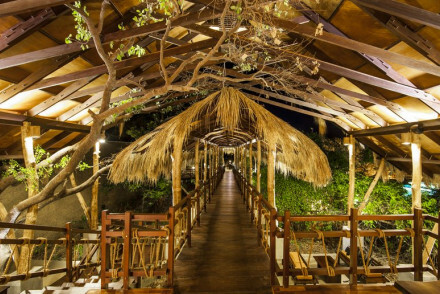 The bamboo restaurant is visually stunning and serves mouthwatering local dishes. A real winner! A boutique property in the truest sense it is the small touches that make Why House stand out from the rest. The rooms are decorated with white linens, four poster beds and large windows that let in the breeze. The restaurant uses the finest organic produce and there is an extensive vegetarian menu. Mediterranean meets modern property just a stones throw from the beach. All rooms are light and bright, many with beach access. It has its own restaurant and private dining available as well as a pool, spa, gym and several water sports options. A beach lover’s paradise! Chic and stylish Casa Colombo has made a name for itself. Ideal for couples it is adults only. Sprawling suites with a mix of modern and traditional furnishings boast sea views and some, private pools. Informal beach dining creates a relaxed feel whilst the private yacht adds a touch of luxury. The clue is in the name with this property. 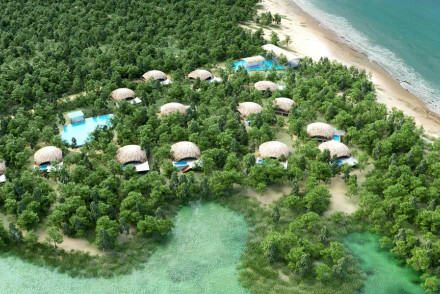 Light, modern, colourful cabins are dotted between the beautiful Trincomalee coastline and its dense jungle. Both local and international food is served and private beach dining can be arranged. Perfect for the indecisive traveller! 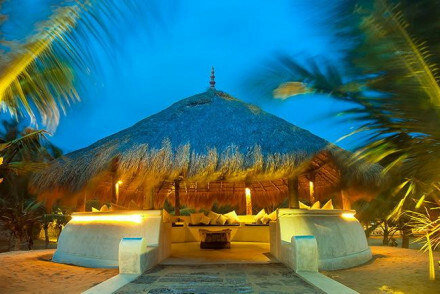 A serene boutique eco resort, perfect for honeymoons, romantic breaks, and spa pampering. Asian-style chalets amongst the palms, an enormous swimming pool, Coco Spa, delectable Asian cuisine, Balinese massages, and all the mod cons. Peace, nature, wildlife. Romantic Break - Private cottages with private pools and couples spa treatments - what more could you want? Sights nearby - Cave temples at Dambulla. 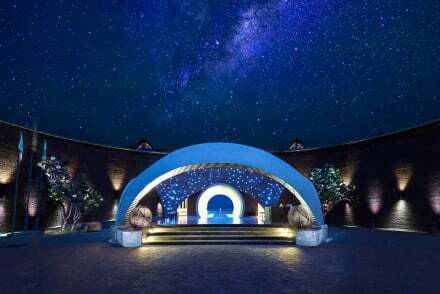 Just 30 minutes from Colombo Airport, The Wallawwa is not your average airport hotel. 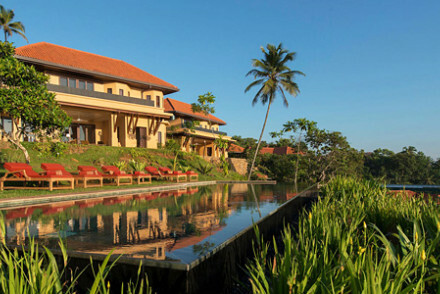 This graceful, colonial building is decorated in the earthy hues of Sri Lanka. The restaurant serves delicious European and Sri Lankan cuisine. Head to the 'Z' spa for some pre or post flight pampering! 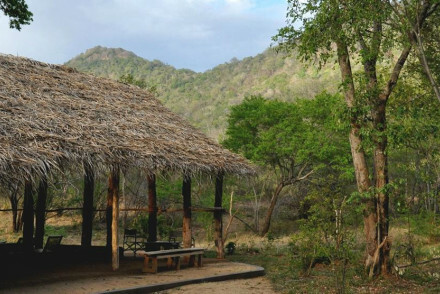 A small collection of luxury cabins boasting an enviable location on the boarder of Yala National Park. Find luxury throughout set in organic surrounds. Secluded cabins feature enormous terraces complete with private plunge pools. The pool is spectacular and spa gloriously indulgent. 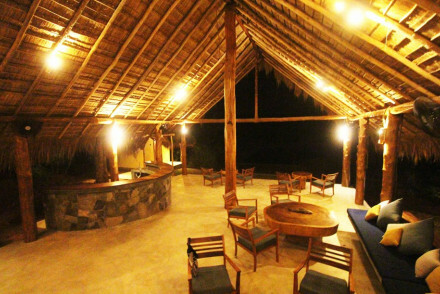 Back to Nature - Located right besides Yala National Park that brims with exotic wildlife. Sights nearby - Visit Yala's Sithulpawa temple from which one can enjoy panoramic views. Great walks - Take romantic walks along the beach and around the lagoon. 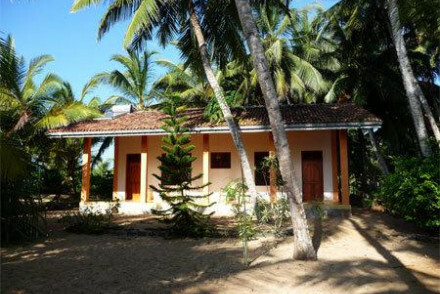 A contemporary property located along Nilaveli's coast. It’s clean, crisp lines are juxtaposed with Sri Lanka’s traditional dark teak woods. Complete with two pools, a spa and countless activities as well as a bar and a selection of restaurants, you will not run out of ways to enjoy yourself here. This property is perfectly located for the Gal Oya National Park. Designed using locally sourced materials and earthy palettes it is eco-luxe in style. It has a restaurant and bar and tasty packed lunches are provided for those long days spent in the jungle. Perfect for the wildlife enthusiast! Owned by the same family for generations and with only six bedrooms, you will feel like a part of the family too. 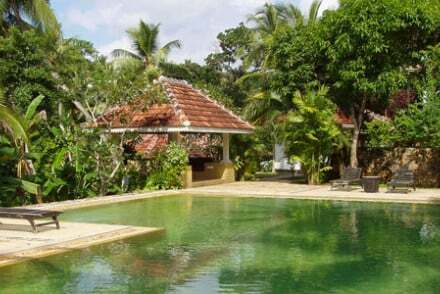 Decorated in a traditional Sri Lankan colonial style with a pool, well manicured gardens, the property is positioned just a matter of steps from Puttalam Town. A gem of a 'home-stay'! Formerly known as Polonnaruwa Rest House this colonial bungalow has undergone much modernisation since the Queen stayed here in 1954. Overlooking Giritale lake bedrooms and dining areas boast marvellous views. Delicious Sri Lankan dishes are served. A great spot to explore historic Polonnaruwa. The former home of a Scottish tea planter this colonial bungalow provides elegant adults only accommodation. Rooms feature four posters and period bathrooms with roll-top baths. Dinner in the formal dining room is a grand occasion plus there are also relaxed al fresco options. No internet access! Total relaxation - High amidst the Nuwara Eliya hills with pretty gardens and no internet access - a complete escape! Total back to nature jungle camp. Three canvas tents provide simple but adequate accommodation. Staff cook up delicious Sri Lankan dishes cooked from local ingredients. Guided walks are offered to take you to even remoter spots. A truly magical once-in-a-lifetime experience! Remote - Completely off the beaten track! The long awaited palm fringed resort has arrived - with stunning views of the Indian Ocean beyond the infinity pool. All interiors are elegant with a clean edge and private gardens. In-room spa treatments are available too. Delicious cuisine, good for families or a romantic retreat.